Handcrafted Lip Balms: A Collection of All-Natural Recipes from Quarto Publishing Group is a Book and Craft Kit in a box with instructions and ingredients to help you make lip balms for gifts and for yourself. 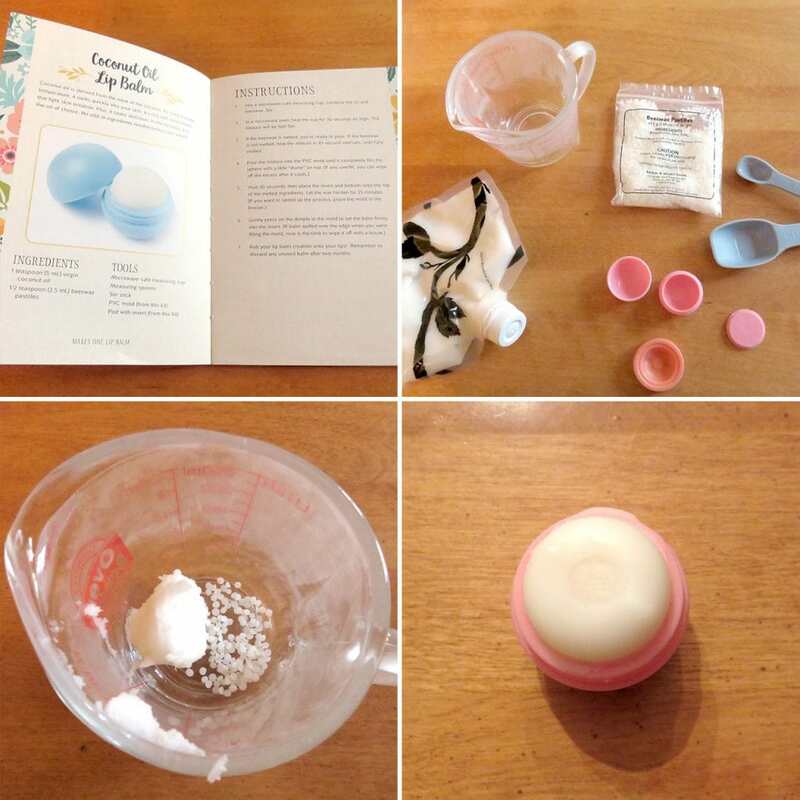 The instructions included in the Book have recipes for twelve different types of lip balms, and each has a different flavor and benefits for your lips. 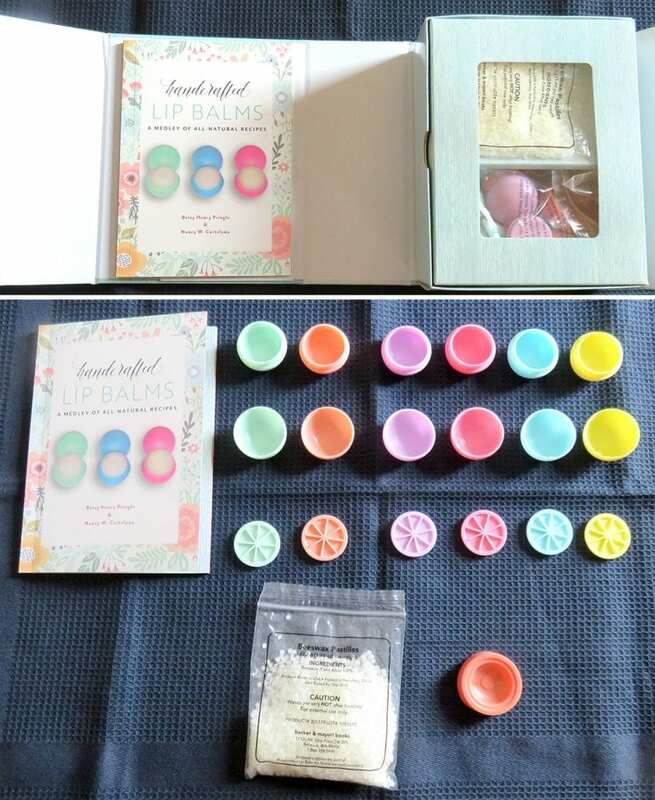 The Kit includes six round pods in different colors to mix or match, beeswax pastilles, an easy-release silicone mold, and the book with easy to use instructions. The Kit itself makes a great gift for any crafty person in your life, and it’s so simple, even kids can make the lip balms with adult supervision. No stove needed, heating in the microwave makes it a great alternative and easy cleanup. I decided to make the Coconut Oil Lip Balm since I had coconut oil on hand from another craft project. I gathered the pods, the mold, and the beeswax pastilles from the kit and added measuring spoons, a microwave-safe glass measuring cup, and the coconut oil from my crafting stash. For easy cleanup, I had a paper towel, plus a hot pad for the measuring cup. 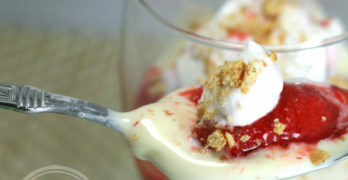 It was easy to measure the ingredients, heat them in the microwave, and pour into the mold. The balm mixture needs to sit at room temperature for 25 minutes or you can speed the process in the freezer. I put it in the freezer for about 12 minutes and it was hardened enough to unmold, your time may vary. 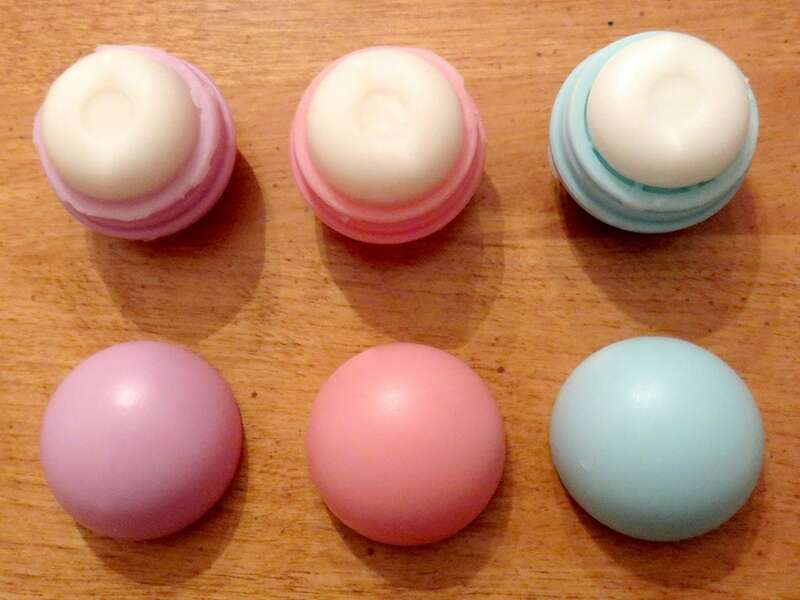 After unmolding, the lip balm is ready to use. It’s that simple! 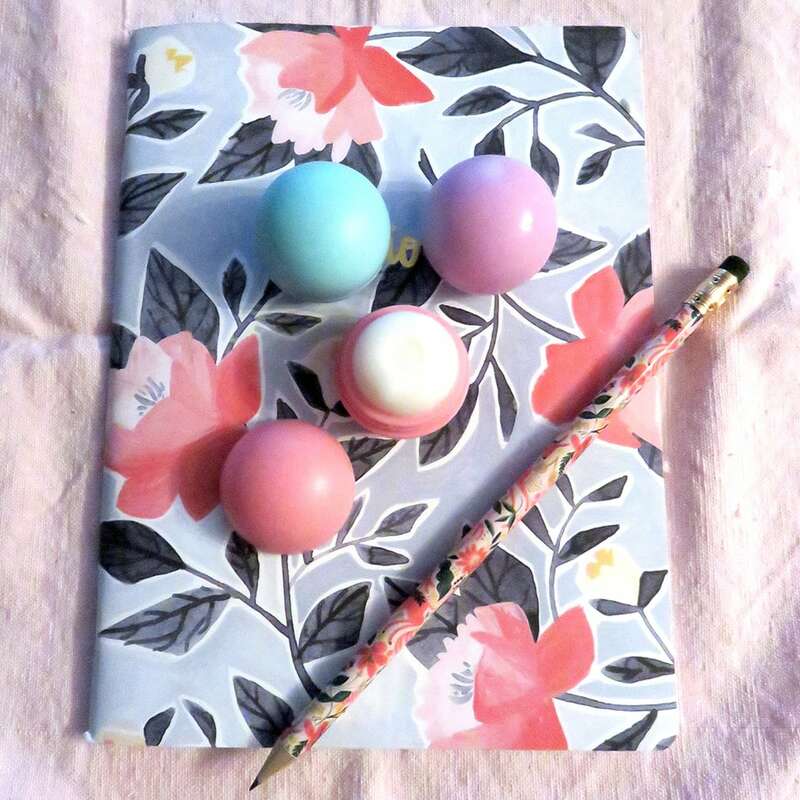 The Book has tips and techniques, plus troubleshooting; how to clean and reuse the pods; a little bit of history on lip products; and recipes for making a lot of different lip balms. The lip balms should be replaced every two months. There’s enough beeswax in the kit to make all the balms from the different recipes, and it’s easy to find beeswax at a craft store to make more in the future. Everything can be stored in the decorative box. This holiday season, you can gift the Handcrafted Lip Balms: A Collection of All-Natural Recipes Kit or make the lip balms and give them as gifts or keep them for yourself. 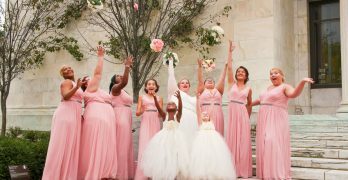 Crafting that’s fun and easy to make alone or with a friend or two. So many recipes, you’ll enjoy trying them all. Visit www.quartoknows.com to learn more about this useful, DIY lip balm craft kit. 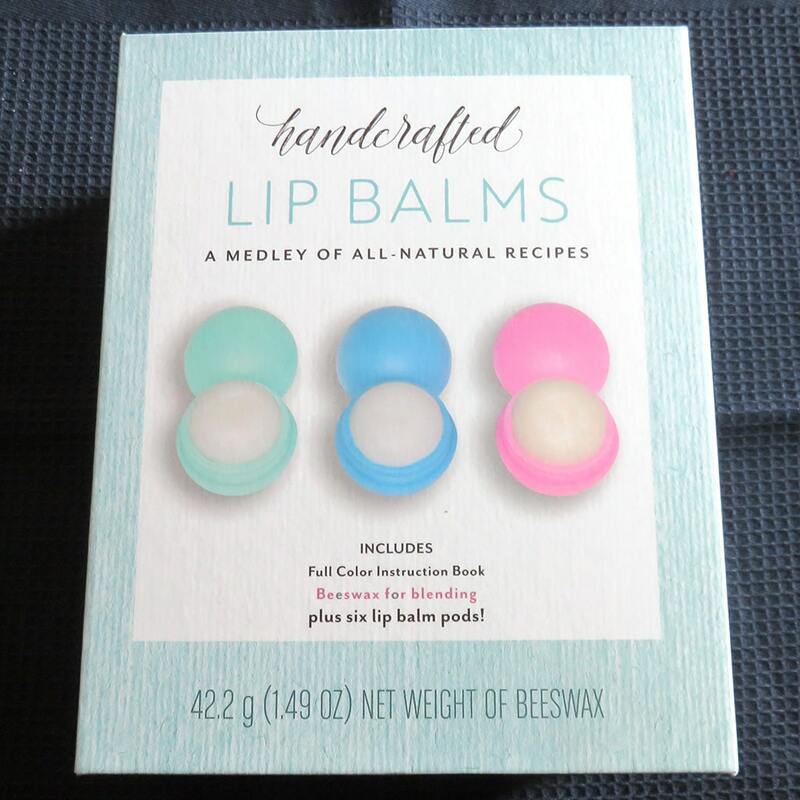 You can also buy Handcrafted Lip Balms: A Collection of All-Natural Recipes online on Amazon and various other online book retailers.